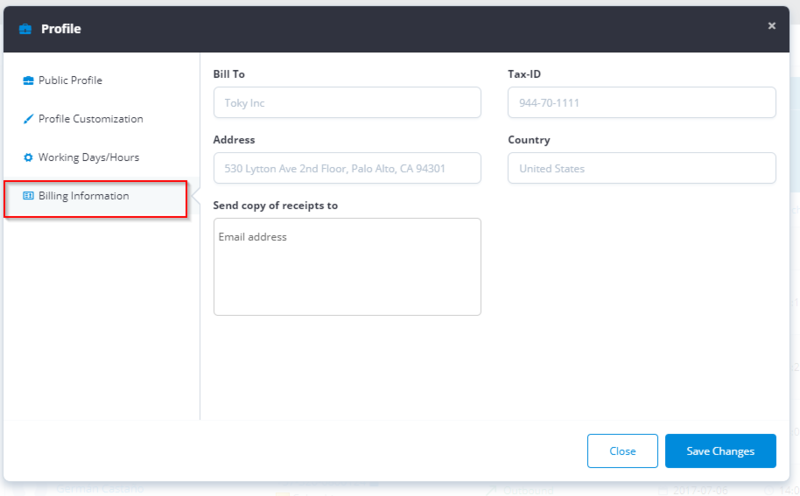 How to get Toky invoices by email? In the field Send copy of receipts to enter the email of the recipients whom you want to receive invoices in pdf. If you have more than one recipient enter the emails separated by comma.